Last fall to celebrate our anniversary, my husband and I decided to go to Paris. That we chose to fly on Icelandair and stop in Reykjavik rather than non stop, provides an example of the way airlines are coming up with new ways to take on the competition. After all, to fly New York to Paris via Iceland added several hours to our trip and a middle-of-the-night (by our body clocks) change-of-planes to our itinerary. On the other hand, each ticket was about $200 less than fares being offered by American, Delta and Air France on the same route. My husband can charitably be described as "thrifty" but $400 is an attention-getting dollar figure, even for a spendthrift like me. But what pushed us to fly Icelandair was not the savings but the value added. For no additional fee, we could get off the plane and spend up to seven days exploring this still-exotic destination. 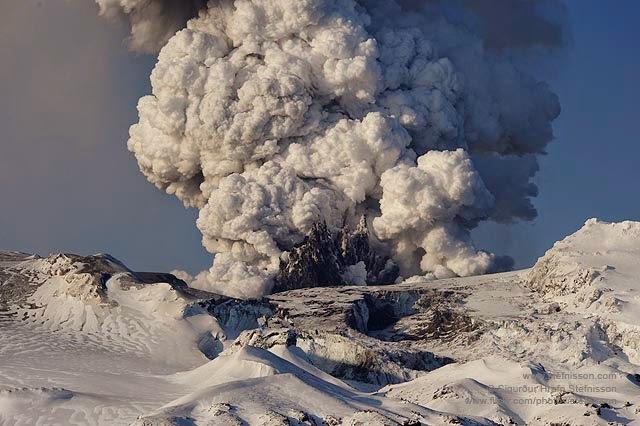 Following the eruption of Eyjafjallajokull, in April of 2010, I was invited to speak to airline executives about the media response at the Atlantic Conference on Eyjafjallajokull in Reykjavik. My Icelandic hosts were welcoming and I was charmed by my brief time in the country. Now I could learn a little bit more and share the place with my husband. Icelandair has offered some variation of the "procrastination vacation" for decades but its not the only airline to turn a negative experience - change of planes - into a selling point. Singapore, Turkish, Qatar, Emirates and Hawaiian are among the others siphoning passengers from other carriers while feeding their local economies with tourist dollars. Primarily this is not going to be the premium passenger airlines are tripping over themselves to woo. These are leisure travelers looking to turn one vacation into two. The airlines benefit by filling seats on the plane and the hub cities get a shot at visitors they might not ordinarily receive. So if the tourist is not traveling first class and filling up four star hotels, who cares? Last week, in a story for Runway Girl Network, I wrote about how IATA's Tony Tyler was commiserating with LATAM boss Enrique Cueto because the Brazilian airlines will probably lose money during the upcoming FIFA World Cup. The odd nature of travel during timed events like sport tournaments is ill suited to scheduled airline service. Still, Tyler said that there is an unquantifiable benefit in exposing the world to a new place. "The long term marketing effect on the infrastructure does produce a good payback," he said of the games, but he could just as easily have been talking about the exposure that these procrastination vacations provide. Icelandair's Michael Raucheisen explained as a revenue producer the stopover plan is small potatoes. "Our goal is to encourage tourism in Iceland and give people enough of a sample that they want to return for a longer journey. So I guess, if we create a return customer that is the best way we could increase revenue." More than any of the other airlines, Hawaiian may be the one least in need of promoting its hub city as a playground, at least among North Americans. I have to wonder though if the thought of changing planes in Honolulu won't sound like paradise to anyone transiting the Pacific who might otherwise have to transfer on the U.S. mainland. Ask any Australian or New Zealander what they think about hubbing at LAX, but only if you have hours to spend listening to their horror stories. When I interviewed him for a story for The New York Times last year, Hawaiian's Peter Ingram, told me Honolulu is never going to be a Dubai, but its location still offers lots of opportunities in a region of the world where air travel is growing. "Our route map is ideal for connections between Oceania and Southern Asia and many sought after travel destinations in North America," he said. Turned out that the weather in Iceland when Jim and I arrived last September was blustery and wet, but we enjoyed it just the same, especially spending the afternoon of our onward flight in the beautiful warm waters of the Blue Lagoon, (about which, more here). Next trip though, I think a stopover with palm trees might be just the ticket. My wife and I are doing more travel these days and I never thought about the idea of breaking the flights up with a short stop at some out of the way place like this. What a great idea! Thanks for sharing this with one of the old aviators who have retired from flying for a living.